Thank you for exploring the growing team of Mama Bliss Coaches, who are here to support other mamas like you on your amazing journey of Mamahood. 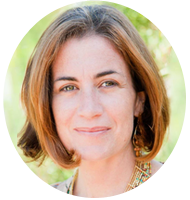 Each certified Mama Bliss Coach has her own unique approach, life experience and expertise to bring to the table. Please explore their worlds and imagine the possibility of the beautiful changes they could bring into your world, by helping you make your bliss-filled goals come true! Aarian is a lover of redheads, being married to one and a full-time parent to two others. She does what she can to enjoy every minute with the crazy people she shares her life with. She strives to live everyday by her values of mindfulness, simplicity and gratitude. Aarian is a guide for mamas who are full-time parents and want to go down a path toward living more simply and naturally. By letting go of stuff, simplifying routines and organizing their space and time they can find a calmer more peaceful life. Aariana is there as a listening ear and motivator in letting go of negative self-talk, learning to love themselves more and releasing mama guilt. 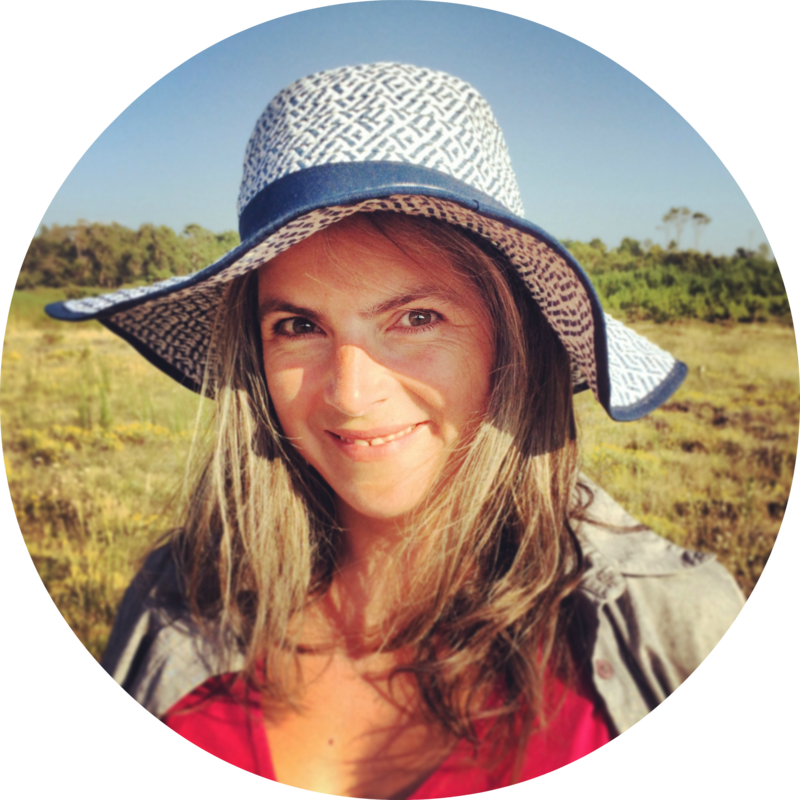 Carina is a mothers of two, meditation teacher, women’s body and story worker and mama coach. She has over six years of experience working with mom’s, finding peace and space in their daily life. 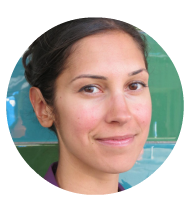 Carina’s heart is in field of self-care, presence/mindful living, self-compassion, and simplicity. For her, they’re all about freedom and fullness in life. You could say from numbness to bringing back the alive in life. Charmaine is a mother of twin girls a Health & Wellness Coach, Mama Bliss Coach & EQUIP Empowerment Facilitator. Charmaine can inspire you to enjoy your life and be a role model for your children. She can help you to feed your family and your soul well and simply. Mama feels fantastic, so does the rest of the family – It’s a real flow on effect. Her goal is to empower, inspire & encourage Mama’s especially Single/Solo/Separated Mamas to simply feel incredible – mind, body and spirit! “Mothers are the best example in their children’s lives and do you know what they need most? They need you to be feeling good and in control of yours – popping that oxygen mask on is so important. Charmaine wants you to start creating the life you want to live & feel out-of-this-world fantastic. Dana is a gifted intuitive who helps women connect with themselves on a deep, soulful level. Her readings gently sweep away mental clutter and frustration, helping her clients to recognize and trust their own gifts as well as to release their doubts, insecurities, and feelings of overwhelm. 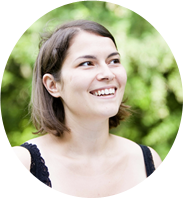 As a clairvoyant healer, Dana specializes in seeing and shifting energy. She believes that positive changes begin on the energetic level, so much of her work involves teaching women energetic hygiene ~ simple but effective tools that anyone can incorporate to help promote ease and flow on a daily basis. 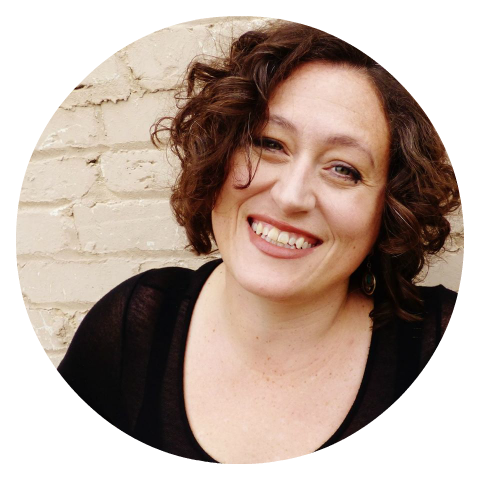 Dana is a warm, loving, and highly attuned coach who delights in helping women really see and fully appreciate themselves. I am profoundly, RIDICULOUSLY passionate about helping women shed the thoughts, beliefs, feelings, and patterns that no longer serve their highest, most sacred purpose in life. I love energy, and I could talk about intuition and everything metaphysical FOREVER. My heart does cartwheels of joy whenever I have the opportunity to help a woman gently peel away anything that currently prevents her dazzling inner light from shining. Seeing that relief and clarity in her eyes when she finally sees her true self is the biggest thrill and deepest honor! Darcy is a passionate, down-to-Earth dreamer. She learns “on the job” every day by loving her three enthusiastic and bright-eyed children. Her current Mama Mantra is: I am an empowered, radiant and joy filled Mama. Darcy is always excited to create more bliss for working mamas. Prior to transitioning her career, she worked full time for the City of Portland, so she knows how challenging it can be to manage a busy family and professional career. She’s also passionate about Simplicity Parenting, which she became certified in before joining the mama bliss movement. Ellen works with moms to support communication skills and attachment skills. She has extensive experience working with moms who have children with special needs, and focuses on helping her clients find their voices and tell their stories. Heather is a passionate mama of two young daughters, who believes that being a mother is the best thing in the world. As a coach and blogger at HappinessMama.com, she loves helping other mamas live their happiest lives and achieve their creative dreams and goals. She also loves to drink good coffee, take long walks, listen to podcasts, play with art supplies, and read Outlander. 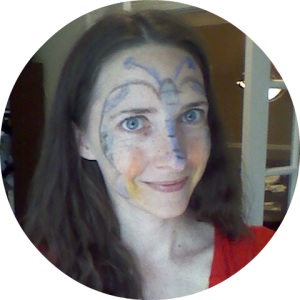 I specialize in helping mamas achieve their creative dreams and goals while being the mother they want to be. I help them make their happiness a priority, supporting them as they clarify their values, nurture themselves, and create a life they love. Some of my special areas of focus are meditation, self-care, habit creation, personal productivity, and time management. “I’m passionate about empowering other mothers to be happier and experience the joy of making small or big changes to create their happiest lives. Jenn is a mama to two school age children, and is devoted to living a life filled with joy, ease, authenticity, and play. Translation: dance parties with her kids, gatherings with friends and family, playing with textiles and fiber, and curling up with a good book. Jenn loves to work with women who are in the process of birthing. She works with women who are becoming a mama for the first time, who are about to birth a second child, a dream, a creative project, or a new place to live, and who are feeling ready to conceive a new part of themselves. She seeks to create a calm and nourishing space to re-connect you to your inner joy, creativity, and wisdom through awareness, discovery, and play. Pippa is a mother of two on a mission to spread joy and confidence amongst mothers worldwide. She’s a social entrepreneur who knows that happier mothers create happier communities – and working together, we can change the world. 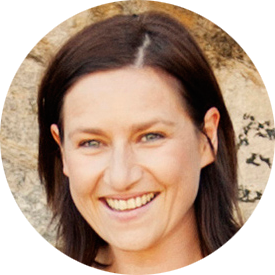 So in addition to providing one-to-one mama support, Pippa is a speaker and workshop facilitator, hosts Mamas’ Retreats in the UK and as virtual sessions, and offers a free online creative mamas’ community at Story of Mum. Pippa supports women to find their voice and refresh their stories. She specializes in nurturing self-worth and letting go of mama guilt, helping mothers to rediscover their identity and find a new vitality through self-care and creativity. Pippa’s story-shifting skills were honed in eighteen years’ work as a story consultant and during kiddy bedtimes. 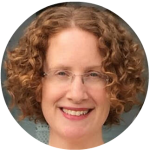 She uses tools from her extensive project management experience to support mamas to take small achievable steps towards what might at first feel impossible – helping them to gently shape the person they want to be. 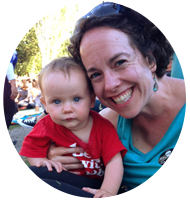 Sara’s a mom, partner, storyteller, and Waldorf teacher with 20 years of experience in and out of the classroom. Her house is full with her wife, their 10-year-old son, three cats, and five turtles. She loves fairy tales, mystery novels, Russian classical poetry, wombats, owls, public radio, and visiting the Period Rooms at museums. 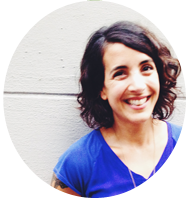 Sara works with Waldorf moms and other sparkly unicorns who want to find their fairytale life. She uses fairytales, legends, and myths to help clients gain insight into their own life stories, and to tap into creativity and wonder. Terri’s a dreamer and a doer who’s equally excited by planning her next trip as she is hunkering down on the homestead and tending to gardens, chickens, and cows. She’s also passionate about musical theater and performing, and considers getting her two children to sing show tunes at the top of their lungs to be one of her greatest accomplishments. Terri specializes in supporting women who are dreaming of homesteading, or who are in the thick of their homesteading journey. 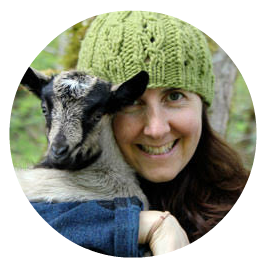 She knows that balancing homesteading with other life commitments – children, family, jobs, schooling – is not always easy, and she’s available to offer encouragement, inspiration, and practical advice on how to mesh your dreams with your current reality! Interested in becoming a Mama Bliss Coach yourself, Sweet Mama? Learn how to do so here!